You asked, we answered! We’re thrilled to introduce our VIRTUAL RUN option for all three courses and our challenges! Can’t be with us on race day? That’s okay! This option allows you to earn all our amazing swag wherever you’re at! 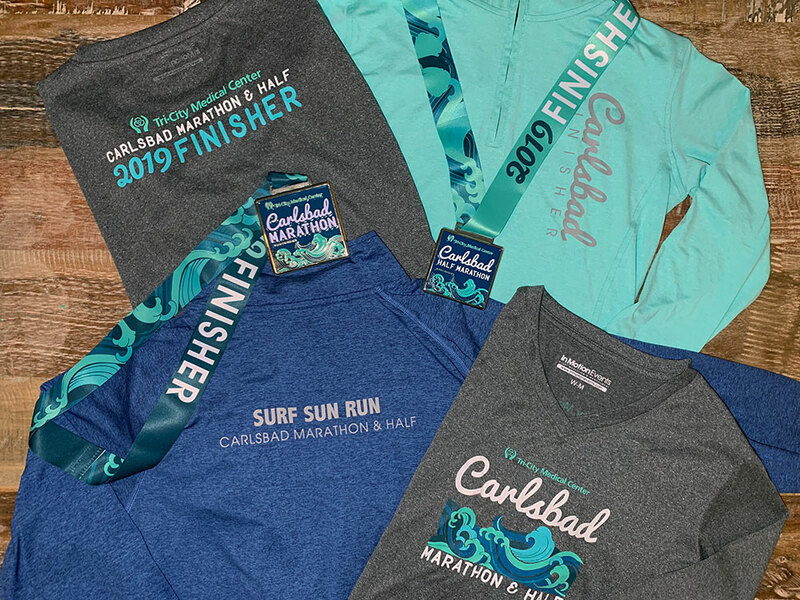 You have the option to pick up your swag at the expo, or we will send it to you at the mailing address used for registration two weeks after the race. Do you want your virtual race to count towards one of our series challenges? No problem! Post-race day, you’ll receive an email allowing you to upload a link or photo of your race from your fitness tracker (i.e. Strava, Runkeeper, etc.) by March 31, 2019. Has your race day situation changed? We can accommodate switching into or out of the virtual category through Sunday, January 6, 2019 only. Email us on or before 1/6/19 to make the switch. The fine print: Virtual participants are not eligible for age group or overall awards.